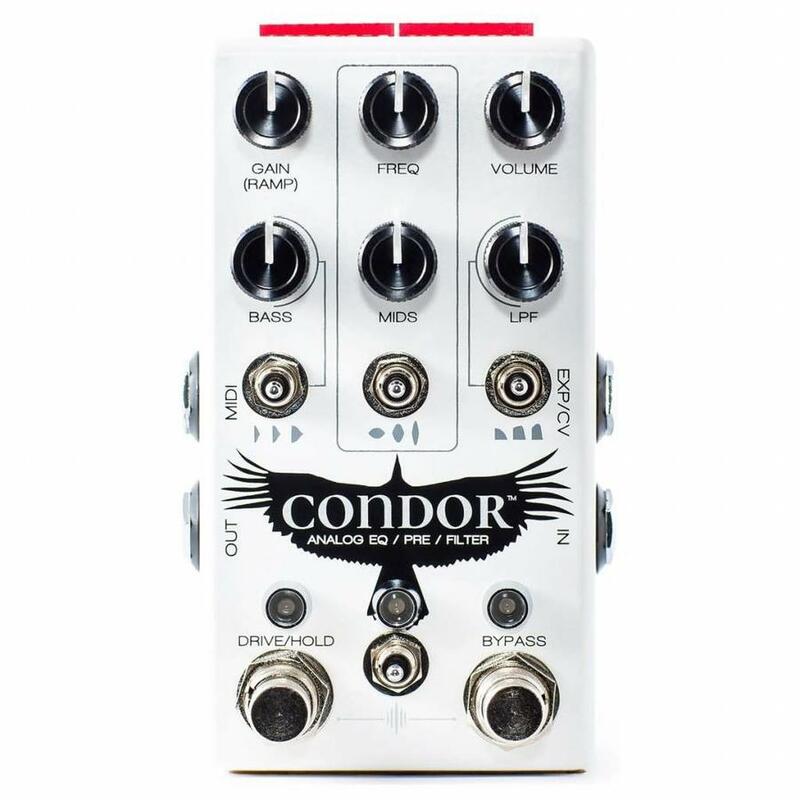 Condor is an analog multi-effect that allows sophisticated control over a wide range of effects including EQ, overdrive, boost, tremolo and filter tones. The pedal has a powerful parametric mids control that ranges from 150Hz to 4kHz along with a three separate low pass filter or bass boost/cut modes. 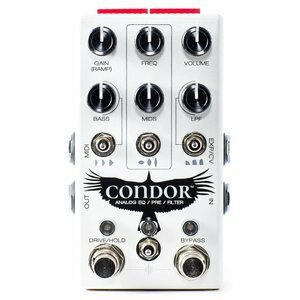 Along with expansive frequency controls, Condor has gain and volume knobs and a switchable overdrive circuit for sculpting your ideal guitar tone. Like all Chase Bliss Audio pedals, all of these settings can be stored in presets, ramped, or controlled via expression pedal. Every knob and switch is connected to a little digital brain while your guitar signal stays 100% analog and never gets digitally processed.